This is a such a cute but powerful photo! 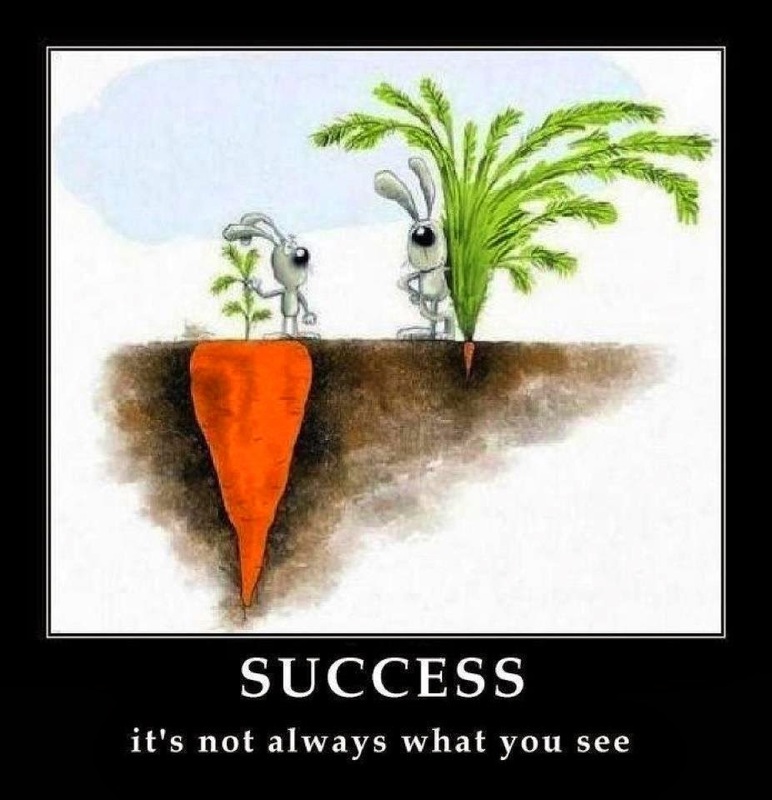 Many times we are too quick to cast judgement on what or who is successful without digging a little deeper behind what we can plainly see. Sometimes it takes time for us to realize what is really important so we should never be too quick to cast judgement on either a goal of ours or even in how we perceive other people. Someone's outer appearance or what someone allows others to know about themselves is only a small part of who they really are. So we should also dig a little deeper in all aspects of our lives because often times we will realize that we are much greater than even we think!